Looking for the ultimate in aqua-massage and backyard enjoyment? The Storm Series by Sunbelt Spas are designed just for you! 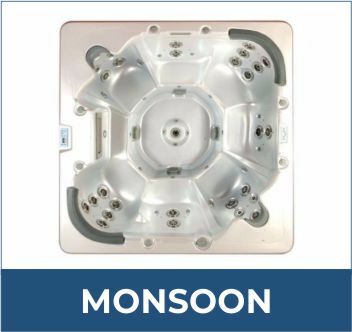 Every Storm Series Spa comes ready for your pleasure and enjoyment – with aromatherapy to soothe the senses, ozone injection to reduce maintenance time and money, the famous Captain’s Chairs with custom neck collars, and the fantastic foot massaging jets. All of these features combine to surround you from neck to toe with a fabulous hydrotherapy experience that you will enjoy day after day. 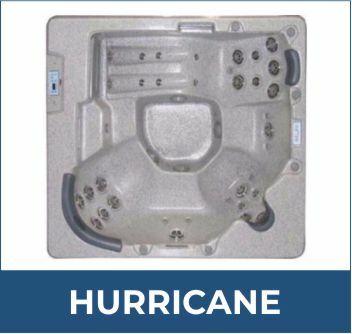 The Hurricane includes specific jets for shoulder and neck relief, furthering the Storm Series’ feature list. Click for more information. 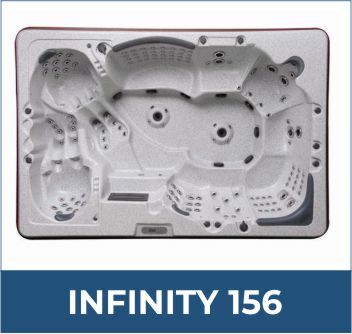 With a staggering 156 jets and seating for 12, the Infinity 156 is the largest and most featured filled spa in the Storm Series. Click for more information. 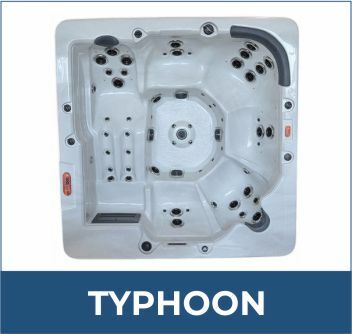 A 50 jet, 525 gallon spa in the Storm Series that seats 7. Click for more information. 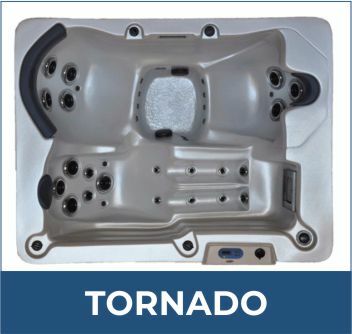 Conveniently sized at only 235 gallons and seating for 3, the Tornado is still packed with all of the great features you expect from a spa in the Storm Series. Click for more information. 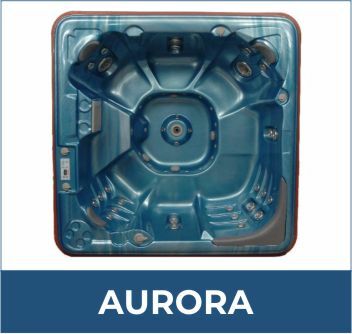 A 50 jet, 500 gallon feature packed spa that can accommodate a party of 6. Click for more information.